The National Development and Social Fund is starting the process to sell all or part of the shareholding it took on in Lombard Bank Malta. 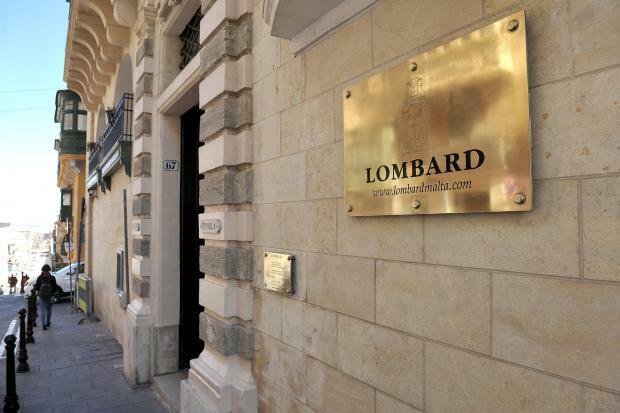 The fund, which receives revenue from the citizenship scheme acquired 49.01% of the shares of Lombard Bank from Cyprus Popular Bank last March for an undisclosed sum, making it the biggest shareholder in the bank. It also made Lombard the bank with the largest 'government' shareholding, something which had raised red flags among observers who saw this is a form of nationalisation. The fund's board of governors has said from the outset that the acquisition was "by no means a strategic investment" but intended solely to facilitate the exit of the Cypriot major shareholder of Lombard Bank Malta and efforts over the previous year to find a buyer ran into a brick wall. NDSF chairman David Curmi had said that the time that the fund planned to keep some investment in Lombard Bank but would reduce the shareholding in an 'orderly fashion'. The same phrase was used on Friday by Lombard in a company announcement through the Malta Stock Exchange, which added that the disposal "shall be conditional and dependent on market conditions, regulatory approvals and other conditions which are currently being evaluated by the NDSF".